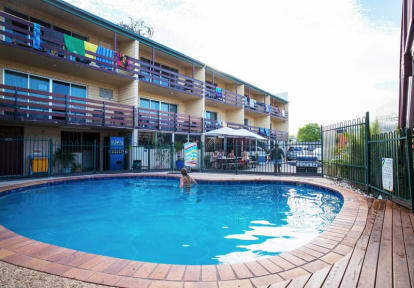 Airlie Beach YHA i Airlie Beach, Australien : Boka nu! I had a great stay. The athmosphere was really friendly and the staff was amazing. 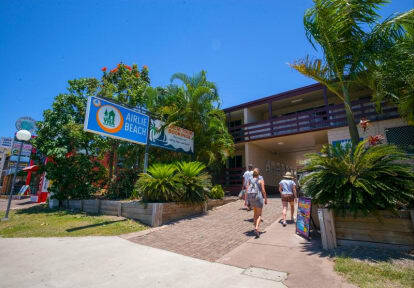 I stayed one night before and one night after whitsundays in a Girl dorm. I liked the hostel since it was very clean, specially the kitchen, and the location. It didn't have any party vibe or social atmosphere but I enjoyed it since whitsundays was a bit tiring as a trip it self. Super fräscht hostel men om du är ute efter lite party så är det inget hostel att rekommendera. Men om du bara vill ta det lugnt är det perfekt! Where there for one night and it was good! Nice rooms with clean shower and the kitchen was clean to. Great stuff. Overall a okay hostel, it was a big hostel and nice kitchen and staff.